As we age we start to add more and more responsibilities into our lives. We get jobs, get married, and eventually start families. Once you have children, it can feel as if it is impossible to make it to the gym regularly. Between school, practice, and the never ending homework, you have a lot to focus on when it comes to your kids. There are many ways that you can use your family to help stay in shape. Here are a few fitness tips that can help the family man. Family time, and exercise time, can be as simple as going for multiple walks during the day. If you can plan family time walks before or after meals, you can easily fit in 30 minutes of active time. You and your family will enjoy the time together and they will begin to look forward to this time every day. Kids love dancing, so crank up that music! 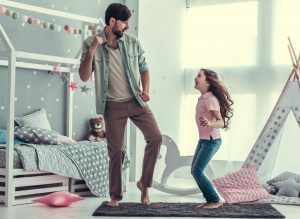 You will never have to feel self-conscience dancing with your kids, especially since you will probably be getting down to some of your kid’s favorite tunes. Think about how much fun your kids have jumping around to the music, and all you have to do is join in. They will find it fun and you will get a serious workout jumping around with your kids. Trust me, you can make a game out of anything with your kids. You can kill two birds with one stone in this situation. The more fun your kids are having, while helping you out, the less they’ll realize that they’re actually doing something that could be considered boring. Use your kids as a helpful tool while doing chores, sure it may take a little longer than doing it yourself, but they’ll enjoy spending the time with you and it will be more of a workout helping them. The best part about kids, other than that they are your kids, is that they love spending time with you. No matter wherever you are, or what you are doing, you can easily add small workouts into everything. Do squats while lifting your kids up to the cabinets while they are helping you unload the dishwasher. Have races down the grocery store aisles, if it’s not too busy. Promise to take your kids to the park after you get some errands run. It is very simple to add easy workouts into your everyday routines. Spend your TV time in the evenings exercising. Commercials are a good 3 minutes, or more, of time that you can spend exercising. Even if it just involves chasing your kids around the living room, or some serious workouts, it’s easy to incorporate. 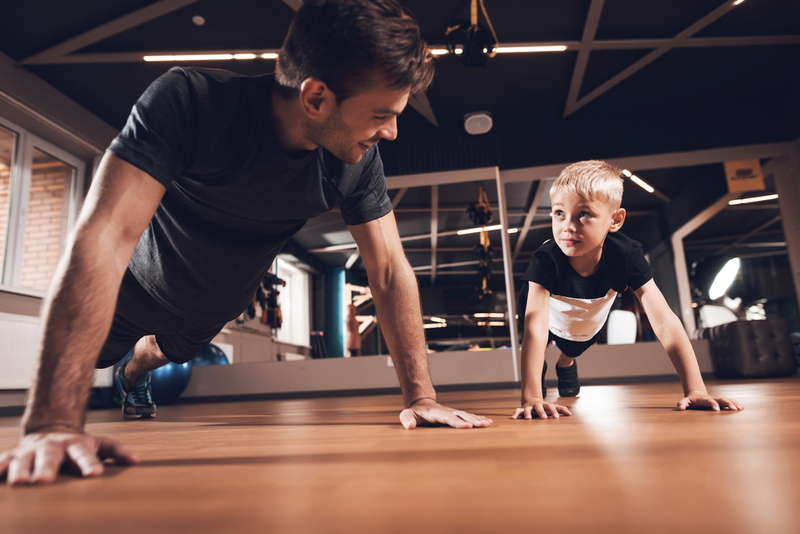 Spend that time having a push up challenge with your kids, or if they’re small enough, use them as “weights.” Your kids will be having just as much fun as you are, instead of watching mindless commercials. Every week, designate a night where it involves workouts for you and your kids. You can turn the exercises into cards games. Get creative and use some of your children’s favorite board games as a way to fit in exercise. Replace some of the cards with special exercise cards, so that every once in a while there are exercises thrown into some of their favorite games. This is another kill two birds with one stone situation as you can contribute to charity and get you and your kids out exercising. Whether you are participating in a walk or a run, your kids will be happy to spend the day with you. You will be able to get in your exercise and teach your kids a lesson in being a good human being. This can benefit you as you can get your yard work done with a little help. We all know how much effort can be put into our yards, and the amount of physical work can be especially hard. You’ll get your kids outside, along with yourself, if you dedicate every other weekend to doing yard work. 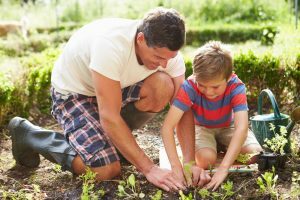 Even if you don’t have much of a green thumb yourself, your kids will enjoy trying to grow their own gardens. Set aside a little bit of yard space, or even buy a couple gardening boxes, and have your kids pick out their own seeds. This will help to teach them responsibility, and keep you guys outside working in the yard. Once things start growing, you and your kids will be able to feel a sense of accomplishment from the hard work you’ve put in. The easiest way to get your kids outside with you is to use your pet as an incentive. Do you have a dog? You, your kids, and your dog will be happy to be outside and getting some exercise. Even when it’s not very nice out, it is still very easy to get yourself up and going if it means getting your dog some exercise. Your kids will probably join you just about every time and you’ll get quality family time, along with some exercise. 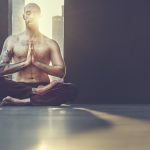 When it comes to exercise, and family, remember that you are not as busy as you think. You can always make time for your family and get enough exercise every week. The recommended amount of exercise, or active time, a week is 30 minutes at least 4 times a week. Think about how easy that is. How much time do spend at night watching TV before bed? I bet at least an hour, and a good twenty, thirty, minutes of that are commercials. Once you put your time into perspective, you will realize that it is super easy to hit that thirty minutes, especially when you use it as family time.